Mark 10:45 says, "For even the Son of Man came not to be served but to serve, and give His life as a ransom for many." At Trinity Lutheran Church and School, we offer many opportunities for you to use your gifts and talents to serve others. 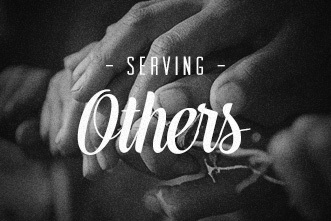 First, please read through the available Ministry Servant Opportunities by clicking here. Then, submit the online form below. If you have any questions, please feel free to contact Jane Strybis, Director of Discipleship and Adult Education at jstrybis@trinityutica.com. Please download the Volunteer Agreement form here. Please choose the opportunities where you would like to serve.